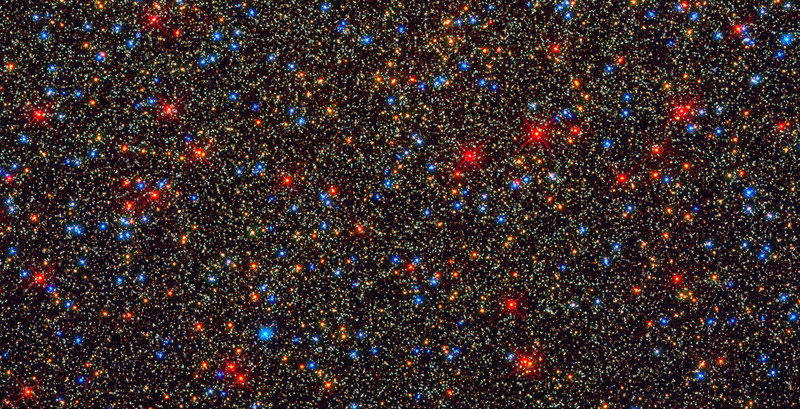 The Omega Centauri, a colorful assortment of 100,000 stars residing in the crowded core of a giant star cluster, between 10 and 12 billion years old. Source: NASA, ESA, and the Hubble SM4 ERO Team. This week, Iran begins the process to popularly elect their next parliament—the Islamic Consultative Assembly, or Majlis—whose main function is legislation and oversight, but whose legislation is also checked by the appointed Guardians Council for constitutional and Islamic conformity. 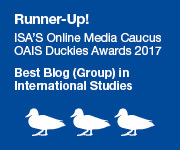 Want to know more about Iran’s parliamentary election process? Then read this Middle East Politics and Policy piece by Brookings. 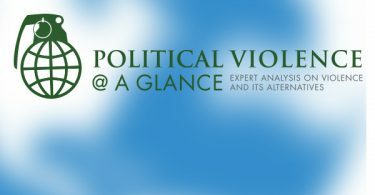 Widening the scope at bit, this article looks at political Islam across the Middle East, with an eye to systematically assess the evolution of mainstream Islamist groups in the region. And here’s a claim that Saudi Arabia shouldn’t be thought of as a state at all, but rather as a criminal enterprise whose business model has expiration date. Continued resistance in Syria by groups like Raqqa is Being Slaughtered Silently (RBSS) reflects a “readiness to incur personal lethal risk,” and a hopelessness that beckons for heroic action against ISIS. In case it’s not clear how U.S. 2016 presidential candidates differ on what to do about ISIS (amongst other security policy issues), check out this series. Innovation in electoral politics is not dead (despite what you may think given the U.S. presidential primaries); in Oregon, the “new motor voter” model automatically enrolls citizens to vote, with a three-week window to opt out. Speaking of primaries, the latest national surveys show about a third of Latino American voters will opt out of primary voting, while equal percentages will vote for Democratic and Republican candidates alike. Take note, too, of the top issue areas for Latino voters—the economy and national security, with immigration coming in eighth place. But do their preferences really matter? Here’s a new challenge to Gilens and Page’s 2014 article (and especially to the media’s spin on it), which asserted that only preferences of elites and business interest groups matter to policy when those preferences diverge with those of average citizens. A popular preference for Donald Trump is also puzzling to many—but here’s one take that suggests we perhaps unfairly label and disrespect a demographic in American society that sees Trump as a class warrior. Elsewhere, electoral politics are somewhat of a cover story for authoritarians dependent on foreign aid—in other words, “dictators love elections.” This appears to the be the case in Uganda, where President Museveni, already in office for 30 years, was declared victor over his four-time opponent, Kizza Besigye. Some analysis indicates that Museveni’s victory was more about coerced electoral support than “love” for the candidate. In the event you’ve been avoiding coming to grips with the latest trends in data science—an increasing popularity of “R” programming language—here’s a basic tutorial course. Online education sites like Coursera, Udemy, and Big Data University also offer a variety of R programming courses from different universities, often free unless you require a training credential. Finally, Google, in collaboration with industry leaders, offers a Nanodegree program in a variety of data science and programming specialties via Udacity. And if you’re not convinced, just look at the way that data (and academic rigor) can elevate and inform the debate about integrating women into all military specialties in the U.S. Armed Forces! Finally, if you are a female political scientist and think that #womenalsoknowstuff, you might want to join the new site for female subject-matter experts. 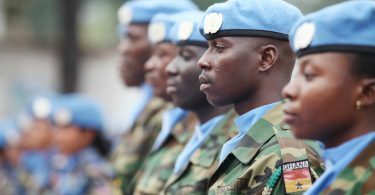 What Happens When Peacekeepers Come Home (Spoiler: No One Really Knows)? The response to Giles and Page is interesting. Displaying figures that show policies favored by the rich more than 2x as likely to pass compared to policies of the poor, and policies favored by (rich+middle) nearly 2x as likely to pass compared to policies favored by the (poor+middle), the “case for a more nuanced view” rests almost entirely on the claim that the middle more often sides with the rich than the poor. An era of populism may now be one of the “stable solutions”. (rich+poor) vs middle , in contrast to (rich+middle) vs poor.